Forth Electronics is an authorised Sony Vaio Service Centre. 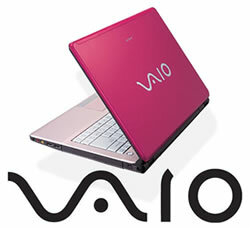 Our engineers are trained to the highest standards by Sony Vaio Europe with many years experience of laptop repairs. Forth Electronics offer top quality Sony VAIO repair services along with a quick turnaround nationwide. Our team of certified technicians are trained to the highest standards and our aim is to be the most reliable and courteous company for all your Sony VAIO notebook and Sony VAIO laptop repairs. You can either bring along your Sony VAIO to our service centre in Ealing, West London or we can arrange collection and inspection nationwide. Forth Electronics offers a component level Sony VAIO service. We prefer to replace only the malfunctioning laptop parts rather than the whole module. Our repair service includes Sony VAIO LCD/TFT repair, Sony VAIO backlight repair, Sony VAIO screen replacement, Sony VAIO keyboard repair, Sony VAIO power socket repair, Sony VAIO software reloading, Sony VAIO battery replacement, Sony VAIO motherboard repair and replacement. Our service includes repair and a full diagnostics virus check. All parts are sourced direct from Sony UK not substandard parts from ebay or google searches. Forth Electronics is now offering a spare parts ordering service. We can supply spare parts for all types of Audio/Visual equipment for home and professional use.